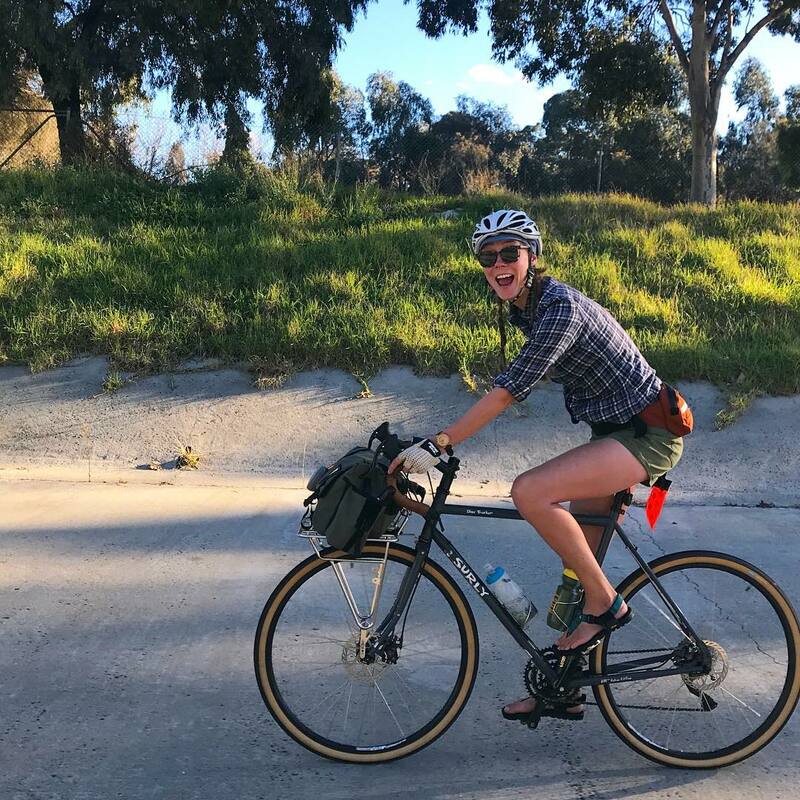 I'm a Colorado gal with a New Zealand passport and I love exploring campgrounds around the world by bicycle! I work at a super rad touring bike shop in Melbourne, Australia where I have lived for a few years now. When I'm not working or riding I enjoy visiting breweries, learning to carve wooden spoons, and hanging in the garden patting dogs who walk past. How’d you get into bikes? I got into riding because I don't drive cars but love to explore new campgrounds, and after commuting for several years I realized you can pop some cool bags on your bike and go further without paying for gas! You get to have a rowdy adventure, eat as much food as you could possibly ever want, and you get to move at the perfect pace for exploring outdoors. I always find walking is too slow and being in motorized transport is too fast to get a good look at animals and enjoy some time in the wind or under the sun. 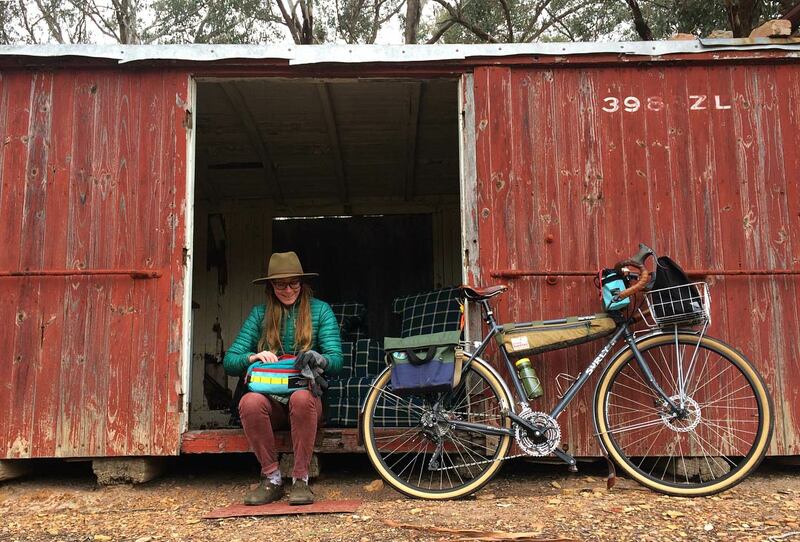 Tell us about your Surly. 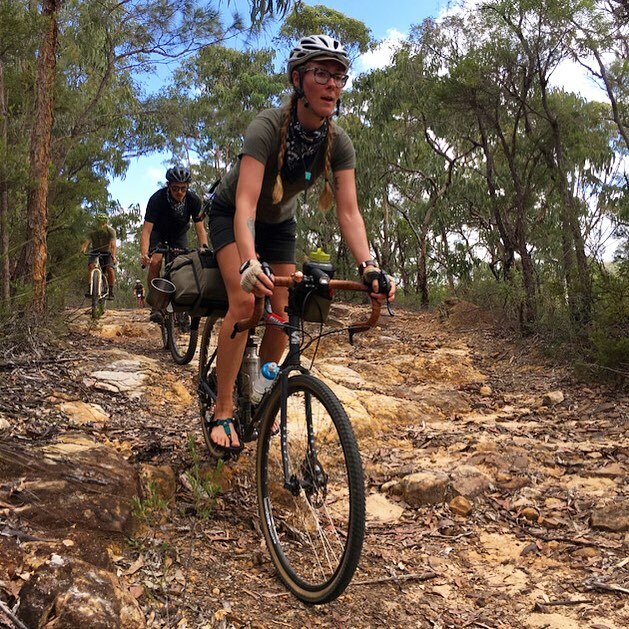 I ride a Surly Disc Trucker and I absolutely love it. It's the perfect commuter that doubles as a long distance magical road unicorn. It rides exactly the same whether it's fully loaded or stripped down, and is extremely comfy for riding in the wild weather of Melbourne- mudguard mounts are a must here! I have squishy Compass tyres, a safety pizza reflector, and a Wald basket where I stash small dogs, picnic blankets, camping equipment and beers. I don't have one specific bike memory, but I think my favourite thing on a bike ever is when you ride in Autumn and it's flannel weather and the sun does that thing where it shines through the tree branches all dappled and you get to ride over a thick carpet of fallen leaves. You can hear the quiet crunching of the different coloured leaves and it's cool enough outside where you don't get sweaty. It feels like you're riding in a time machine that got stuck on pause, or like you're the last person on earth and you'll never have to hurry anywhere ever again. If you could ride anywhere in the world, where would it be? I think the next trip I have my eye on would have to be Japan, for so many reasons. I don't make tons of money working at a bike shop and Japan is one of the cheapest international flights from Melbourne, plus the food and mountains and people all sound incredible! Where can people follow along with you? Dan is Surly’s Marketing Manager, which is our fancy title for propagandist. He knows how to use Google really well — and not just to find out if bees feel fear or where all the cowboys went! He spends his days looking at numbers and data and other stuff we don’t fully understand. He can probably even figure out where each of you live, so be nice to Dan. 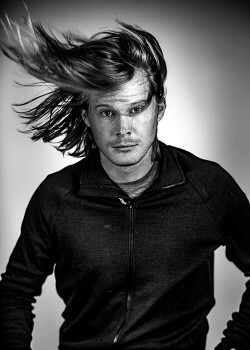 His hobbies include cross-country skiing, hair growing, and eating gjetost. If you don’t know what gjetost is, ask Dan to Google it for you.